Daniel Zimmerle is a Senior Research Associate in the Energy Institute @ Colorado State. 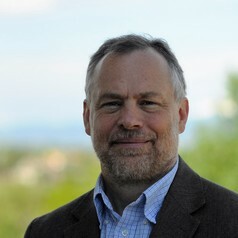 Zimmerle was a principal investigator on three major studies of methane emissions in the natural gas supply chain, and leads METEC, the ARPA-E MONITOR test facility at CSU. Additionally, Zimmerle also works on energy access and development in rural communities in the developing world and the integration of distributed generation into power systems. Prior to CSU, he served as the Chief Operating Officer at Spirae, Inc. and 20 years at Hewlett Packard and Agilent Technologies including experience as both a division general manager and R&D manager. He has lead organizations in several business areas, including computer aided design software, test systems, and consumer products. Organizations included personnel in the US, Ireland, Singapore and other countries. He holds a BSME and MSME from North Dakota State University.